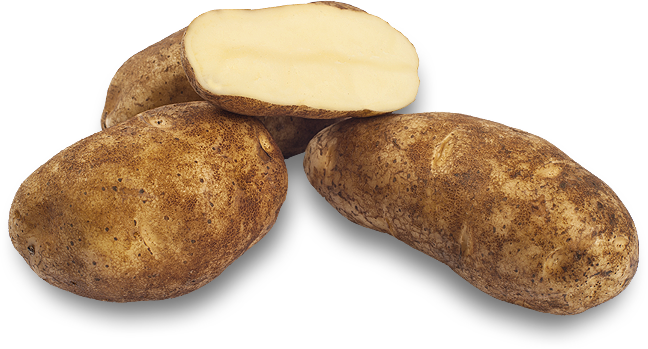 Russet potatoes are a high-starch potato with a thick brown skin. Inside, these potatoes have a white flesh that is very dry and fluffy. Their soft light texture makes them great for mashed potatoes. They are also an excellent potato for baking and frying. The russet’s light fluffy texture falls apart easily so they won’t hold their shape when used in a soup or salad as well as a red potato will.